The following table provides facts and information about the American Eskimo dog breed. From Origin to eating habits and quantities, you will find all of the common and necessary facts about the American Eskimo breed. Leave us as a comment with suggestions on other topics to cover and your thoughts! 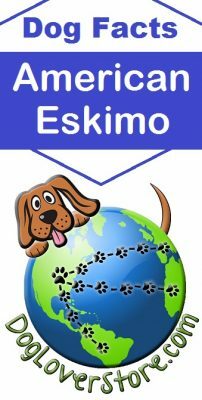 Eating Requirements – There is a lot of variability in regards to how much to feed your Eskimo (as there is with all dogs – remember every dog is unique, just like humans!). The standard consumption amounts range from 1/2 a cup to 1 1/2 cups of quality dry food. It is usually recommended to split this amount into two separate meals. American Eskimos have a refined pallet and may not like many foods. It is best to experiment to find what your Eskie likes and how their stomach handle the food. it is not difficult to keep this dog clean. Their coat contains many natural oils that are known to repel dirt. Gait – Agile and balanced gait. Their forward thrust has range and their rear balance is well developed. Temperament – Intelligent, protective, reserved, and alert (similar to Pomeranians). Exercise Needs – Walk daily along with at least one other active exercise daily. Activities – Any activity that requires exercise and bonding with the owner(s). American Eskimo Gifts – We hope you have enjoyed this list of facts and information about the American Eskimo! 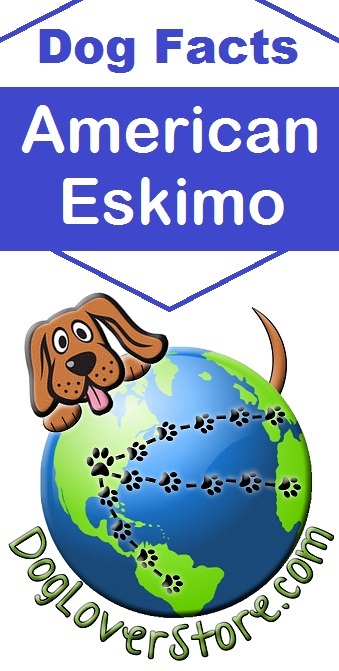 If you are looking for American Eskimo decor for you or an Eskimo lover, check them out here: American Eskimo Gifts & Merchandise. Hey dog lovers! 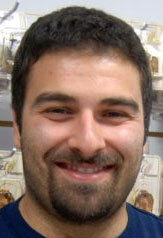 I am co-owner of DogLoverStore with my wife Kimberly. I enjoy working with computers, listening to music, learning about dog breeds, perfecting the art of coffee brewing, and anything that brings me back to childhood! I went to school for management information systems at the University of Massachusetts Dartmouth where I received my bachelor’s degree.